September | 2014 | What can you do with anthropology? Everyone should be familiar with the ALS ice bucket challenge, even though they may not have partaken in the internet sensation. So far the effort has helped raise millions of dollars for the cause of curing the disease, an impressive feat to accomplish within only a few months. However, author of Is the ALS Ice Bucket Challenge about structural inequality? Matt Thompson argues that this occurrence as strange due to the social inequality seen across the world. It is unarguable that the ice bucket challenge has been a boon to ALS patients and our nation as a whole by raising not only money but awareness of the disease. Even so, Thompson states that “the issue at the heart of the Ice Bucket Challenge is the way it prioritizes the needs of a relatively exclusive community in a way that has been met with extraordinary public support”. He then goes on to talk about the primary victims of ALS; white males. I personally had never looked at the ice bucket challenge in this way. When I watched the countless videos of celebrities and YouTubers pouring freezing water over their heads I felt a sense of pride in what they were doing and got a few laughs from the humor of the act. Thompson’s insight makes complete sense to me as he mentions how people worldwide are doing variations on the challenge; “Orlando Jones pouring a bucket of brass shell casings on his head to protest violence against Black youth in America” or “persons in Gaza pouring rubble on their head to draw attention to ongoing violence in Palestine”. In my opinion it is very shocking to see that we only take action like the ALS ice bucket challenge when a disease hits home. It displays social inequality at its finest as well as the fact that we need to act just as fast to combat other conditions across the world. In the article, “Alone in the city: How we create personal space in the madding crowd,” by Erin B Taylor, it discusses the way humans behave when surrounded by others in a city and how they do their best to avoid interaction despite the idea that human beings are social creatures. Erin states that the reason humans are intent on going their own way in the city is due to sensory overload and social rules. If people were to try to focus on all the hustle and bustle of a city street, our minds wouldn’t be able to handle the huge amount of sensory input. As for social rules, it is a general idea that people want to be left alone. Erin states that “Talking with strangers increases our urban workloads, giving us more obstacles to navigate, and distracts us from what we are trying to achieve.” This rule prevents others from getting in the way of a main goal and causes people to be more aggressive or rude when their “workload” is added onto by someone who doesn’t respect or know the social rule. This idea of being antisocial and independent is something often discussed in class. We talked about how American mothers often leave their babies to cry it out and don’t sleep with them in the same room. From the very beginning of life for many, isolation and independence become a favored trait. While this may be a good quality at times, being too self reliant can cause trouble in workplaces where teamwork is required. If we continue to keep up an antisocial facade and teach our children how to ignore others in many situations, in the future we might not be able to interact with other humans well at all. Social media will likely gain even more popularity as face to face interactions dwindle. Medical Apps-How Long Will We Need Doctors? Medical apps are on the rise in our smart phone and tablet oriented society, with hundreds of thousands of apps available on Google Play and the Apple App Store. The most downloaded medical apps consist of exercise, diet, and weight monitors. Not only is the general public using these medical apps, but so are healthcare practitioners. These apps are now being prescribed in some circumstances to patients. Deborah Lupton, the author of the article, states that “Apps are new digital technology tools but they are also active participants that shape human bodies and selves as part of heterogeneous networks, creating new practices.” This demonstrates how we are moving into an age where health information is more accessable to us than it was a decade ago. Not only that, but in class we talked about sports causing humans to modify their bodies, but it turns out apps might be responsible as well. What this could mean for the future is that nutritionalists and weight councelors might find themselves without jobs. After all, if people can download and create apps for free or little money, why would people continue to leave the comfort of their homes to get check ups when their smart phones can tell them how much exercise, food, and weight they need to gain or lose? While apps are convenient, they might become a hinderance if people rely on digital advice more heavily than advice of fellow humans. Anti-racism movements on tumblr are under debate. Are they actually helpful in abolishing racism or do they only have the appearance to do so? James Jang brings up the idea of “tumblr identities,” in his article, which are written personas that people make online and use as their other self. In lab, we discussed how online profiles or personas that people use on facebook can be deceiving when it comes to courtship or friendship. One reads a profile or looks at pictures and finds out a superficial facade of a person. Some may make their online world as close to their real life existence, but others make up a new side of themselves when they are on a computer. In my perspective making contact online isn’t nearly as good as meeting someone face to face and interacting with them. Computers and the online world act like a shield, so people can be as fake or as different as they like because it is not truly their real self and their facial and body gestures cannot be seen. Even if you are honest in making a tumblr identity, for example, how much of yourself can really be translated into a profile page on a website? Much like a book cover, I think only the superficial side of a person can be written out, leaving the real information hidden under a pretty picture they create for themselves. This is an important concept because our world is morphing into a very technological age. We rely on technology for medicine, communication, and interaction. This idea of having anti-racism and other activist groups focusing their efforts online using tumblr identities is an important topic because it signals that we as a human race have moved even further into the relative safety of the online realm and are starting to believe online identities hold more power in our lives. Mayan Calendar, zombie apocalypse and Y2k, oh my! In 2012, I was in high school and the threat of the Mayan Calendar apocalypse was a hot topic. My friend group had a running joke that one of our numbers, a guy whose 18th birthday was 12/21, would singlehandedly destroy the world with his ascension into legal adulthood. However, the Mayan Calendar apocalypse was not the first to be predicted. Before that was Y2k, wherein people believed all the modern technology would be wiped out. Recently there has been a string of movies and television series dominated by the idea of a zombie apocalypse. Survivalism in general seems to have reached an all-time high in American culture. Why does this obsession with the demise of the modern world exist, and where did it stem from? Perhaps, then, this rise in apocalyptic predictions reflects a feeling of instability in a relatively tumultuous time. Preparing for the end of the world via zombie takeover or some sort of blast-from-the-past Mayan prediction is much less worrisome than preparing in face of an impending natural disaster. Although, personally, I think the Mayans just got lazy and realized their calendar wouldn’t have much significance 2,000 years in the future. The ALS Ice bucket challenge is a trend that over the summer took social media by storm. In those months, it raised more funds for the ALS association than any of the members predicted, a raging success story. I myself participated in the challenge, as did most of my friends. One friend of mine was nominated three times, and though she donated each time, she refused to do the challenge, stating that it was uninformative and detracted from spreading information on the actual disease. Anthropologist Matt Thompson asserts that, rather than detracting from the spread of information about ALS, the silly video is an extremely successful marketing technique, and that is why it was especially effective in our capitalist society. It this is true, did we only do the video to brag about how much goodwill we have? Is that why the challenge because so successful? No campaign targeting diseases, say, in Africa, have been met with as much support. This may be due to the fact that there is a much larger population of social-media-users in Europe and North America than in Africa, and therefore ALS hits “closer to home”. This may also be due to the significant privilege that white male human beings experience in the world today. Either way, although ALS is undoubtedly a horrible disease and those studying it do deserve the funds they’ve received from the campaign, there are numerous diseases still rampant in the world that have comparatively caused many more deaths that are being left relatively untreated. Why? It’s no secret that the body type that is admired in our culture today is a very thin and petite one. But, Why is this? A lot of this has to do with the fashion industry and what the clients look for when choosing a model. In the article “why thin is still in” written by Adam Fish he interviews a fashion client that remarks “clients choose looks that they expect everyone else to choose too. They widely perceive that white-washed ultra-skinny models are most likely to be types chosen by their peers, and to deviate from this tried-and-tested formula would be to risk professional status by being out of fashion.” So really they are just giving the people what they want, which is what you do when your trying to sell a product right? So are we really to blame any one but ourselves for this thin body type we all idealize? Often times we blame the fashion industry and magazine editors for creating this idea that we are not pretty unless we are thin. When in reality they are trying to give us what we want and what we admire in order to remain trendy and not out of fashion. It is also noted that designers make sample sizes in sizes 2-4 because “that is the way things are done” “compared to QWERTY keypad, we end up with a certain working order of things because over time conventions get locked-in, and it becomes easier to not change them, even if we don’t like them.” This is not surprising because often times in our society we get locked into our ways and it becomes hard to change things that we have known and done forever. Which is most likely one of the reasons that we experience culture shock when we travel to new places. We are all so accustomed to doing things in a set way that when we go somewhere else and things are done differently it is hard for us to adjust. These designers also seem to have a vision of their clothing hanging on a thin woman. A London casting director made the statement that “it’s really hard to find size 12 or 14 girls that are fierce, I mean they’re all just–” and here he puffed out his cheeks and raised his eyebrows, vaguely resembling the Stay Puffed Marshmallow Man. “It doesn’t look good.” Why doesn’t it look good? Because it would be challenging the customs we have been exposed to and it would be something different. So why is it that something different when it comes to fashion in terms of clothing being acceptable and valued? Yet, when it comes to body shape it is not? All of this is routed in how as a society we view and value things, and also how we struggle to change our ways because we are comfortable and fear change and not being trendy. As a white woman from the suburban area of Waterford, CT, I have no social, economic, gender, or racial connection to Michael Brown of Ferguson, MO. Nor do I have any sort of connection to his neighborhood, his friends, his family, or his situation. In fact, in many senses, Michael Brown and the world he lived in were as far removed from me as could possibly be. Until he was shot and killed by police officer Darren Wilson August 9th 2014. Then, Michael Brown and the world he lived in was brought to my attention, and the attention of the world. In his article, “Ferguson: An American Story”, Raymond Codrington speaks about how the murder of Mike Brown brought the issue of racial and social justice to the forefront of American minds, especially the issue of racial profiling. “Blacks made up 86% of traffic stops in Ferguson. At the same time, blacks were 92% of vehicle searches,” writes Codrington. Clearly America still suffers from racism, subconscious or not. There have been too many other instances like Mike Brown’s, but none of them have sparked the outrage that Brown’s has. Even if this powerful case doesn’t change anything in the way that the law treats black people, especially young black men, I think it will be important to track how much of an impact this has on American culture and American perception of race. Even if nothing is done to improve the police force of Ferguson, and of America in general, this incident will have a huge impact on American culture, and I think it’s important that we continue to follow the ramifications of the Mike Brown case. Doing ethnographic research and studying the relationship and duties hipsters have in society means they should be viewed as an example of social complexity. Hipsters have a timeless style that is uninterrupted by the corruptness of today’s social expectations and advances. They have contributed the excessive use if flannels, non-prescription glasses, tight pants, Indie style music, and artisanal everything. 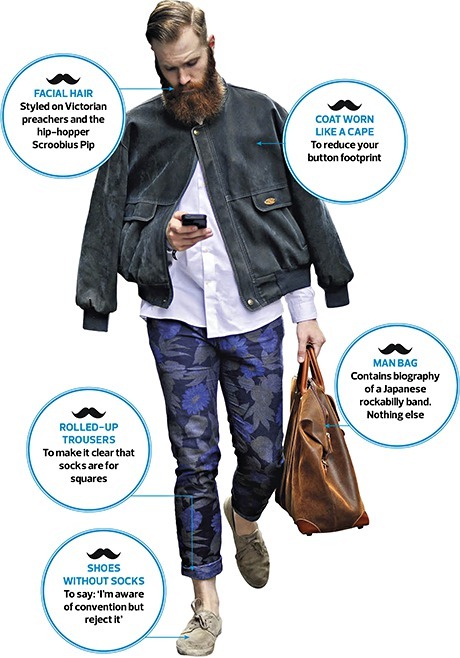 Hipsters deserve the respect of society and not have any negative connotations associated with their title. Brains hold each of our stories. Our pasts. Our identities. They hold our secrets that our friends might not keep. They know our dreams and our tortures. Each person has a different way of thinking. This is based on where they have grown up and their culture. A person that was raised in New York City would view the world differently than someone from Kenya. It has also been studied that each brain is unique. Which helps explain why everyone is different. Even another New Yorker would think differently than the person previously mentioned from New York because of the different wiring in their brains. Every single person in the entire world is wired differently. Human brains work so differently from computers that we can think of them as “alien technology“. Brains are so powerful that each of them is different for more than seven billion people. Does the wiring between the New Yorkers differ less than the wiring between a New Yorker and the person in Kenya? We now know that each brain is wired differently, but do they differ a greater amount with people in a different culture? It would make sense because they practice the same traditions, live in the same environment, and have similar experiences. Similar wiring is probably also past down through DNA, so for the most part it would stay in a certain region. I would consider this different than parents teaching their children certain biases or lessons because those are not internal wiring, those are taught through experience. Our brains hold everything we have learned and everything we know. Our brains are us.